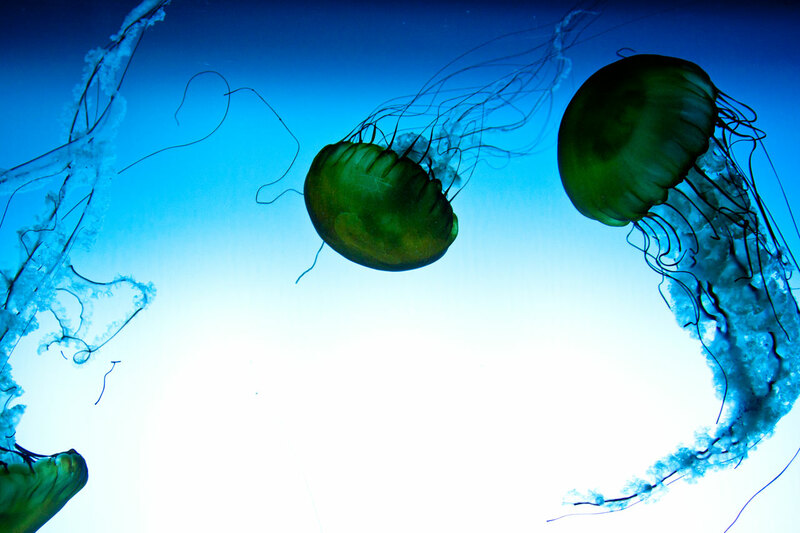 The arrival of these sorts of specimens in the Aquarium’s basins represents a unique opportunity for visitors, but also entails some special challenges for our team. Here’s why! 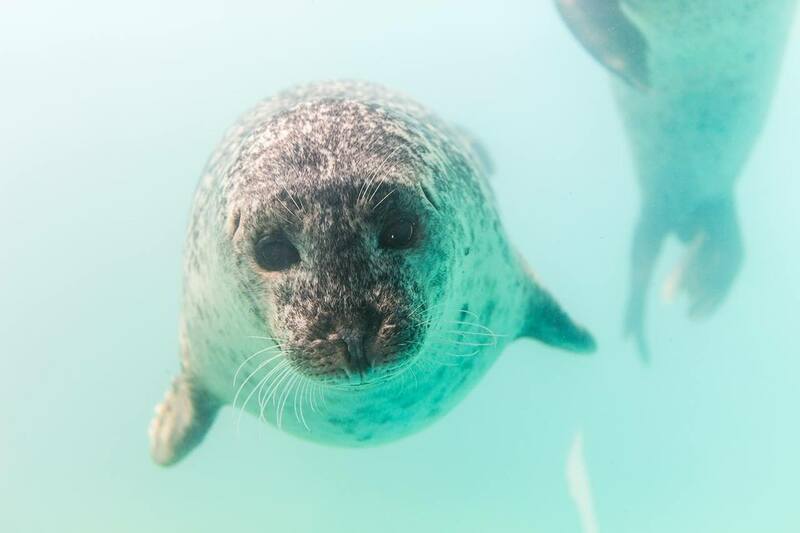 The Aquarium team is pulling out all stops to ensure the well-being of these fish. In order to properly accommodate the newcomers, more than 50,000 litres of water from our current facilities will be converted into tropical freshwater. The basins that will be converted and that will house these Amazonian fish are mainly located in our freshwater gallery. Two basins in the Pacific zone will also be converted into warm freshwater pools to accommodate certain specimens. In addition to these preparations, we will also have to consider moving some of our native species, who will be upstaged during the exhibition. 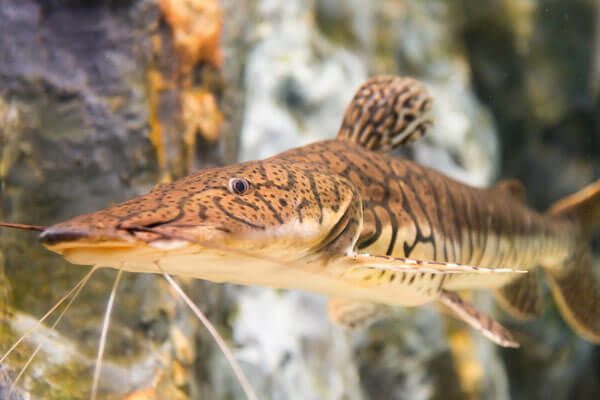 Temporary basins will be set up behind the scenes, and fish currently living in the freshwater tanks will be gradually moved to other locations. Before launching the new exhibition with all the fanfare we can muster, our team has put everything in place so that the new residents can adapt to their new habitats. Contrary to popular belief, the piranha is far from being a man eater! In fact, the opposite is the case. The piranha’s delicious flesh is greatly appreciated by Amazonian populations. Piranha bites are mainly caused by the carelessness of fishers, for example as they try to remove the fish from a net. The top and bottom teeth of the piranha work together like scissors to cut their food. The strength of these teeth is undeniable: a piranha bite can tear about 16 cm³ of flesh from its victim. If one of its fangs should fall out, it can grow back easily, a bit like sharks’ teeth. 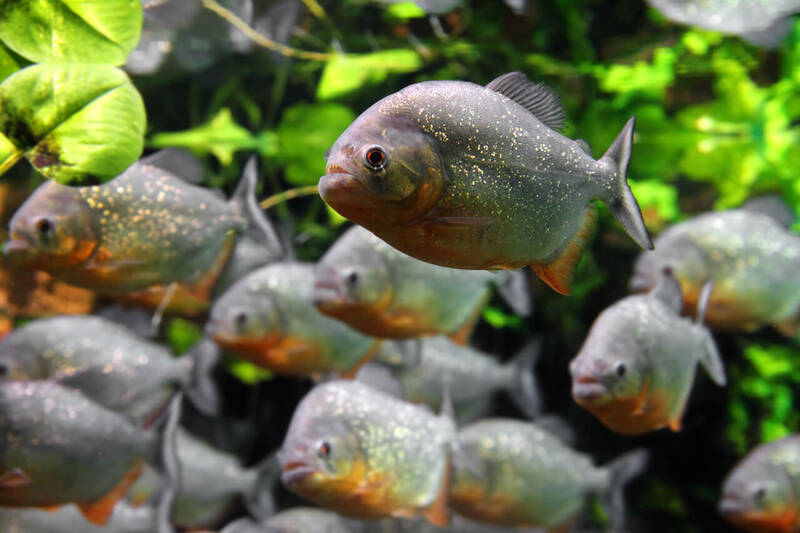 Here’s another interesting fact: the red-bellied piranha produces a sound resembling a yelp to warn predators to stay out of its away. 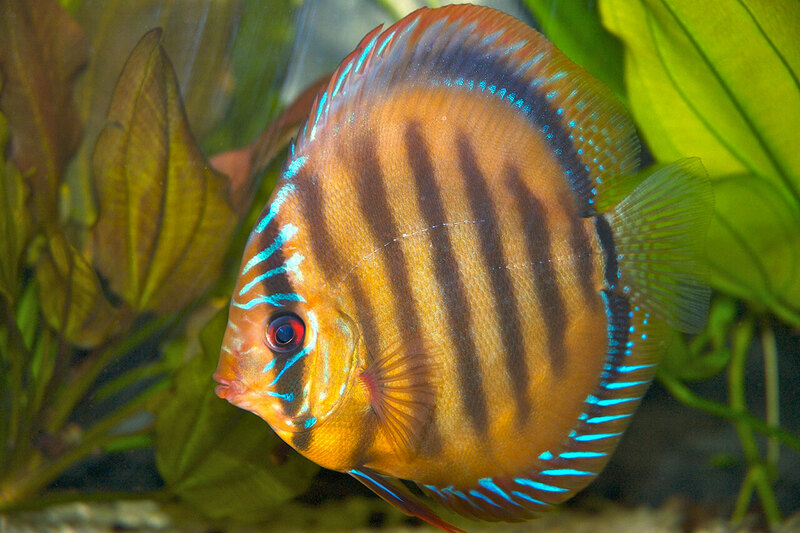 The discus is a species of monogamous fish that usually moves about in closely-knit pairs. The male and the female choose one another, join forces, and stay together until the death of one of the two partners. The devotion they have for their partners makes them impossible to separate. Love is such a beautiful thing to behold! Another specific feature of the discus is the care with which they raise their fry. Parents secrete a substance that oozes through the pores of their skin to feed their offspring. During the first two days after hatching, the fry feed on their yolk sac and then migrate to their parents' backs and feed on this substance for 7 to 10 days. As soon as the young are sufficiently developed, they feed independently. 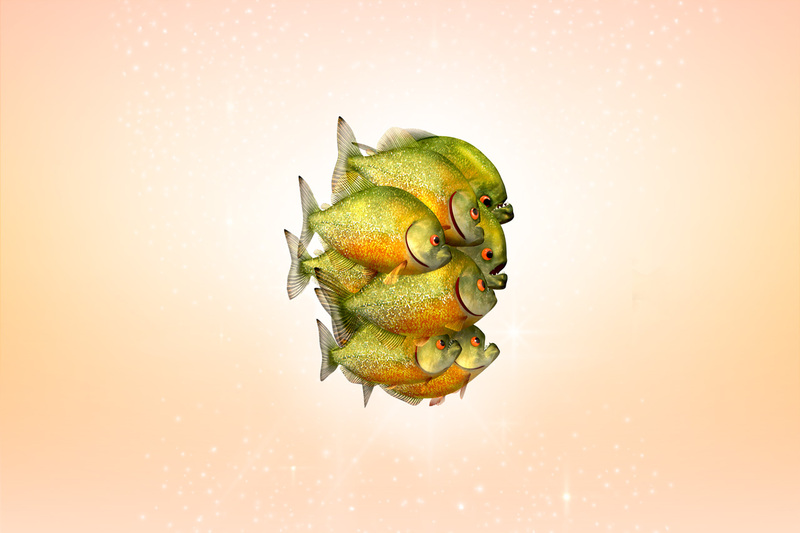 It’s not uncommon, however, to see these baby fish clustering around their parents. 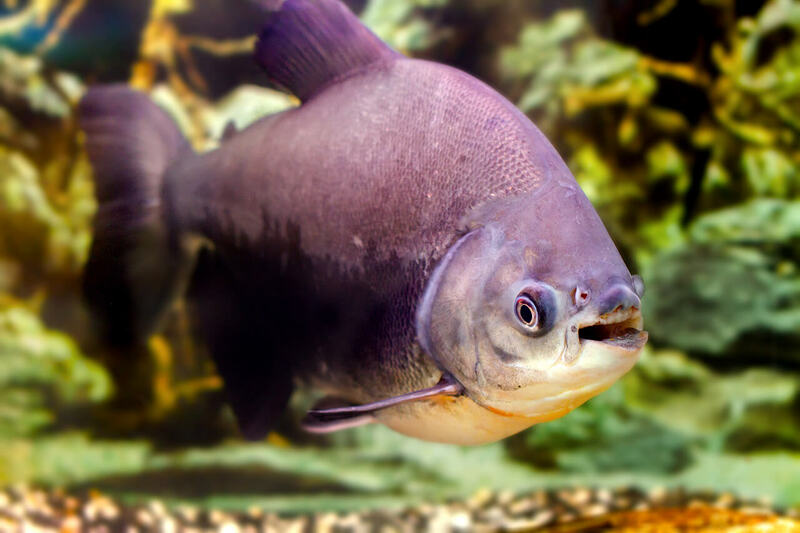 The pacu is considered a cousin of the piranha. It boasts significant dentition, though its teeth are less sharp than the piranha’s; in fact, they’re are much more like human teeth. The pacu is mainly vegetarian, but also eats fish. 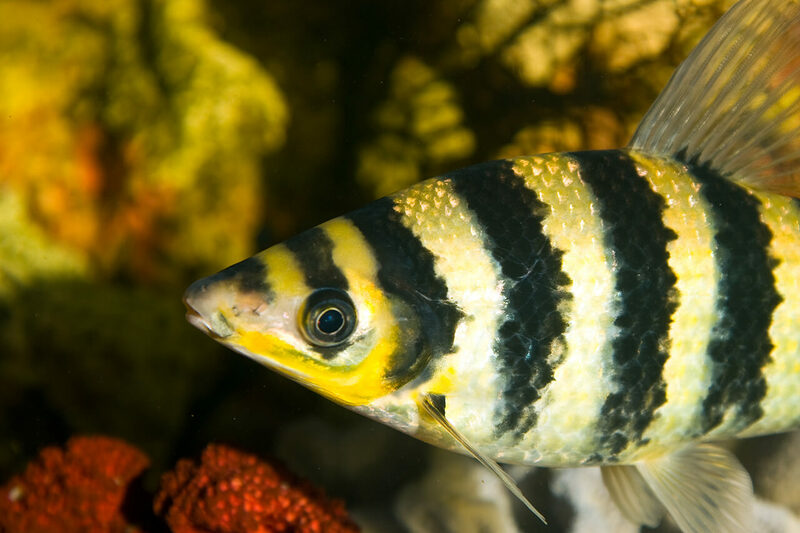 Another point it shares with humans: this fish is recognized as being very sensitive, especially appreciating caresses and special attention. 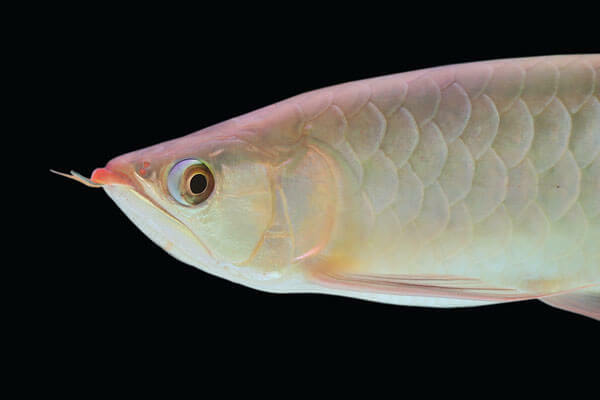 This species of fish is a sign of luck in Chinese culture, given its shape and majestic bearing, so reminiscent of the dragon. The two distinctive barbs at the end of the arowana's lower jaw are very good sensory devices used to detect and capture prey on the surface of the water, even in total darkness. Its vision is also remarkable. Endowed with x-ray vision, it can see specks right through the water, indicating that there are insects or birds on the surface. It can leap up to six feet in the air from the top of the water. This is why it’s nicknamed the " monkey fish." The body of the freshwater stingray is highly compressed, and its gills have the distinction of being on the ventral surface. In addition, these fish have two vents (nostrils) behind their eyes and a venomous spine on the top of the caudal peduncle (posterior part of a fish’s body). Freshwater stingrays are so dangerous because of this venomous spine. In fact, they’re more feared by Amazonian populations than those infamous piranhas. Belonging to the catfish family, the Oxydoras niger species is considered one of the most impressive of its kind. A specimen has already been identified with a record size of more than 120 cm, while the record weight of one of these fish is 11 kg!